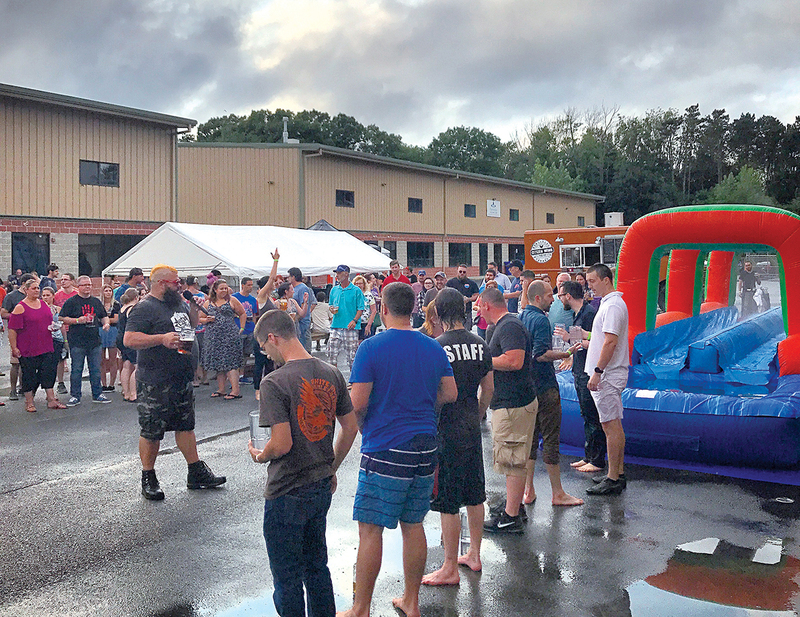 BEER BENEFIT: Attendees participate in an event during last year’s Augtoberfest at Foolproof Brewing Co. in Pawtucket. This year’s Augtoberfest, with a portion of proceeds benefitting the Pawtucket Foundation, will be held Aug. 11. / COURTESY FOOLPROOF BREWING CO.